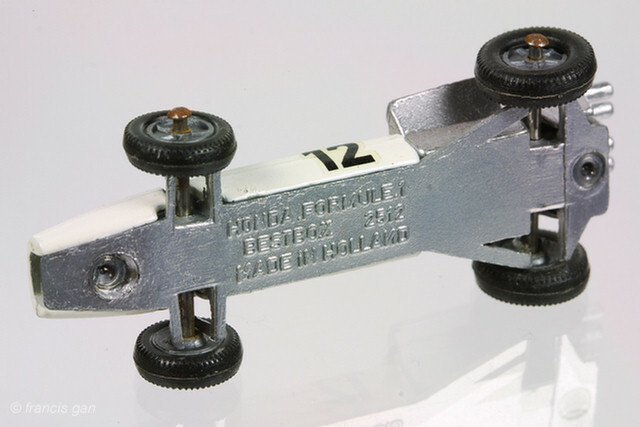 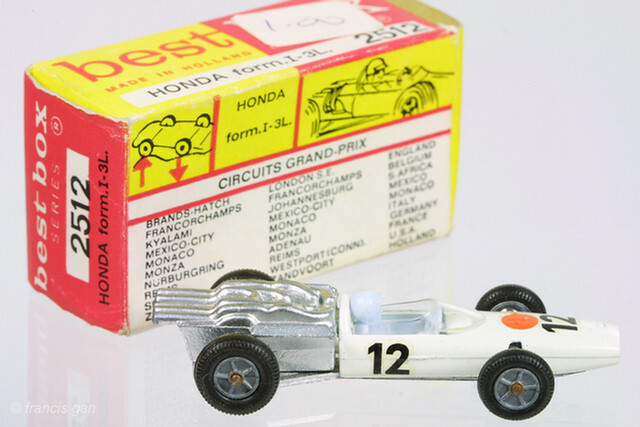 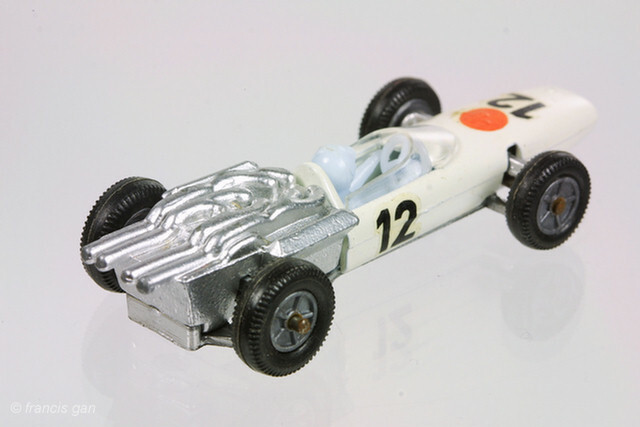 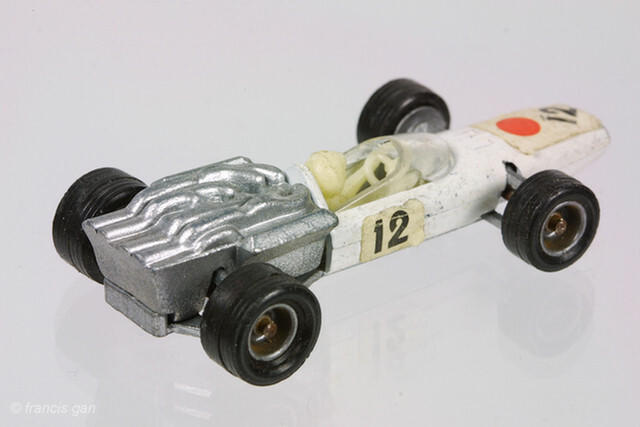 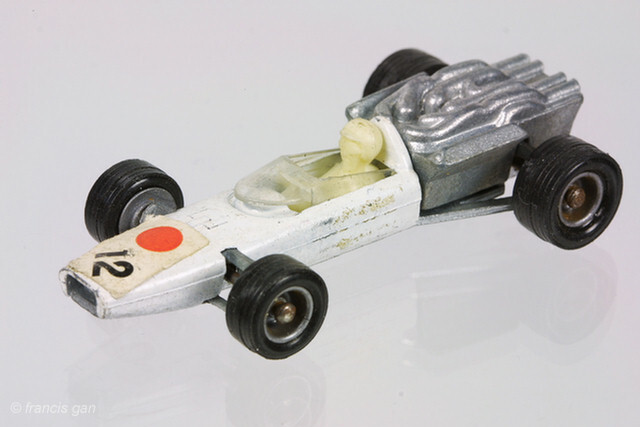 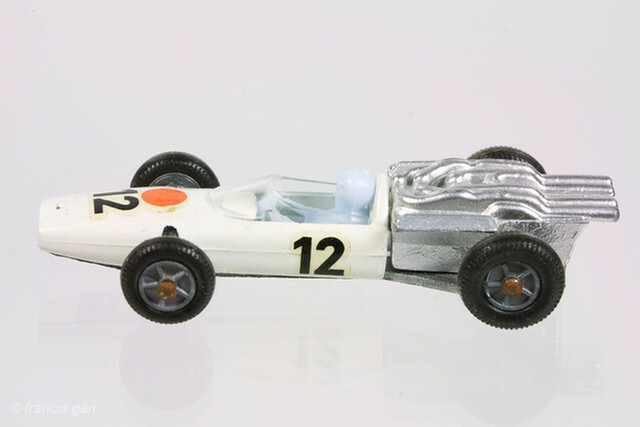 BestBox/Efsi released a Honda F1 RA273 car (#2512) in approximately 1:50 scale with 2 variations for wheels. 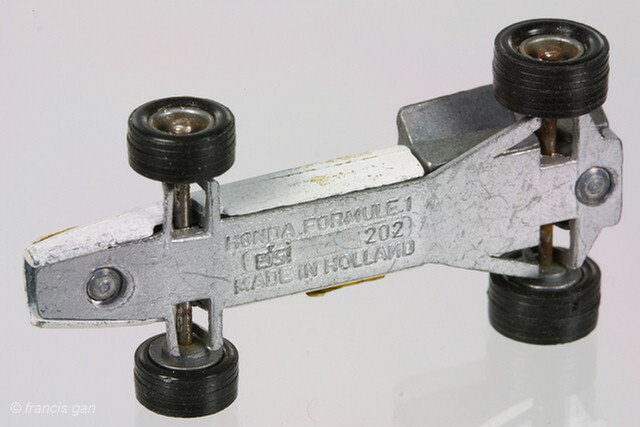 These were made in Holland. 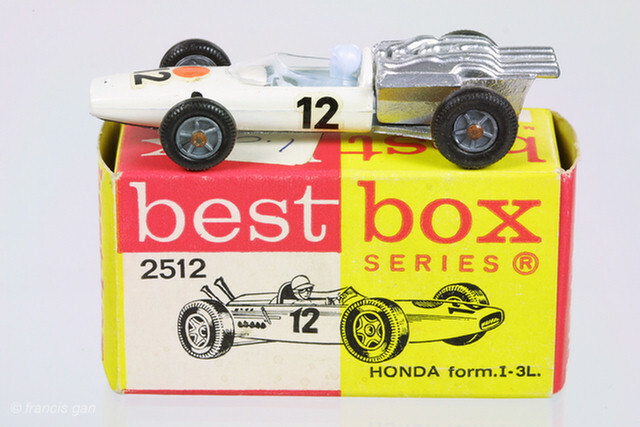 The Bestbox came in a nice matchbox sized yellow, red and white box identifying the car with a 3.0 liter engine. 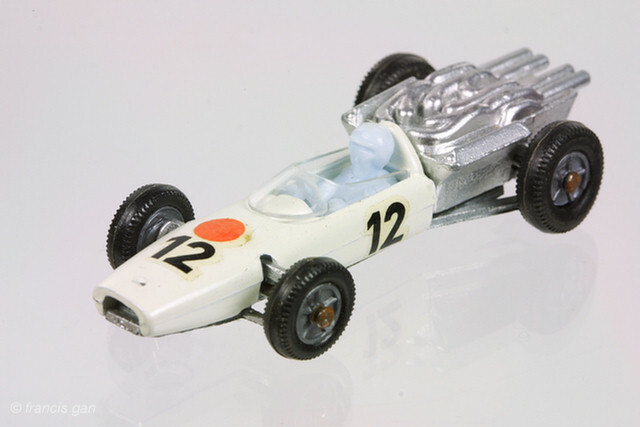 The Efsi version has wider wheels/tires and slight different decals and shorter exhaust pipes.